When you are looking for local storage facilities, you need to find the right storage solutions for your unique and individual needs. 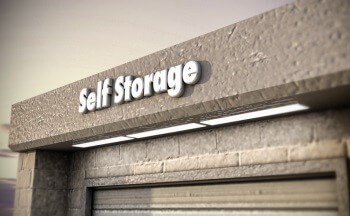 Finding the right local storage facility can be very easy when you know just what storage solutions you are looking for. Our company, Jake’s Moving and Storage, offers some of the best options for storage facilities and professional moving service in Washington D.C., Maryland, Virginia, and surrounding areas. Our licensed, bonded, and insured professional movers will help you get your job done right the first time. What can our local storage service do for you? Jake’s Moving and Storage can really help you with your local storage needs. 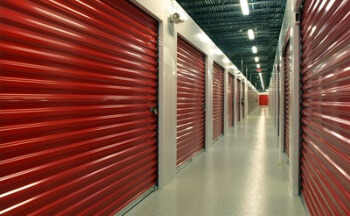 Our secure storage units are guarded 24/7 with state of the art technology and on site staff. Your items will also be protected with our climate controlled storage units. This will ensure the safety of any of your high priced and delicate items. You can rest assured that these items will be well taken care of at our facilities. Sometimes when you are moving, it is a time crunch. This makes it hard for you to really move everything all at once when you may not be as sure about the new location you are moving into. With our storage units, we will be able to help you hold your items until you are absolutely sure of where they are to go. Our fast and friendly movers can help you get your items to our storage units as well. When you are ready to move these items to your new location, we will be there to help you with that step as well. When you own a business, a big move can be very difficult. Our experienced packers can really help you get a handle on all of your equipment and merchandise. Our up front pricing will also help you to be able to save money on your business move instead of trying to pay your employees to help you with the move. Many times commercial moves are just out of the question for moving companies, but that is not the case with us. We will be able to help you with all of your business moving needs. Our storage service is something that has helped many of our customers who are not quite ready to move just yet, but want to get started; who have a different move-in and move-out date; and who are renovating and need to store some items. We will help you get your belongings and home ready to go. We can even store some of your less needed items until you are ready to make the move. This will help you to feel more confident about your moving day. There will be less to worry about, and we will be able to help eliminate the stress. Our local movers have so much experience with residential and commercial moves that we will be able to help you get the job done when the time comes. We have years of experience with local moves in Maryland, Washington D.C., and Virginia areas that we will really be able to help you with your storage and moving needs. We are ready to help you so do not hesitate to contact us with any of your residential or business local storage needs. Local Storage Facilities https://jakesmoving.com/local-storage-facilities/ 3.7/5 based upon 13 reviews.